NEW!!! 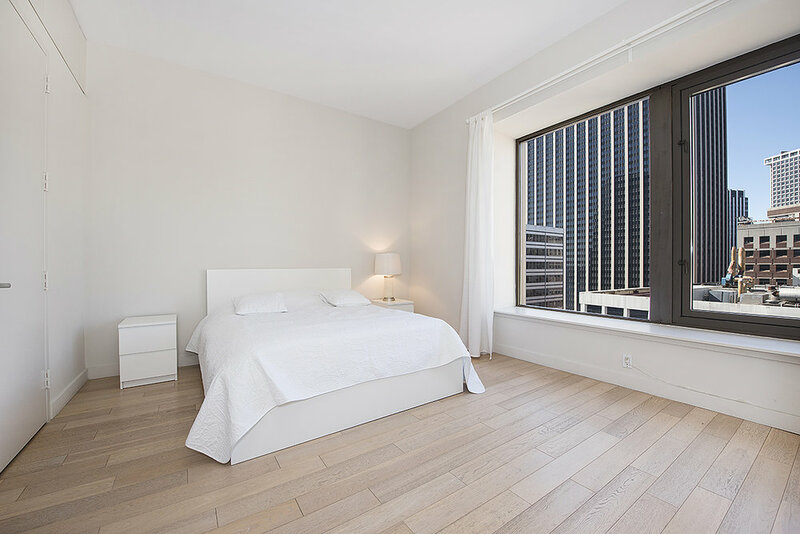 A spacious one and a half bedroom, two bathroom apartment in a luxury building with all amenities, located in the heart of Financial District (Wall St.). This apartment is fully-equipped and outfitted for your perfect stay. 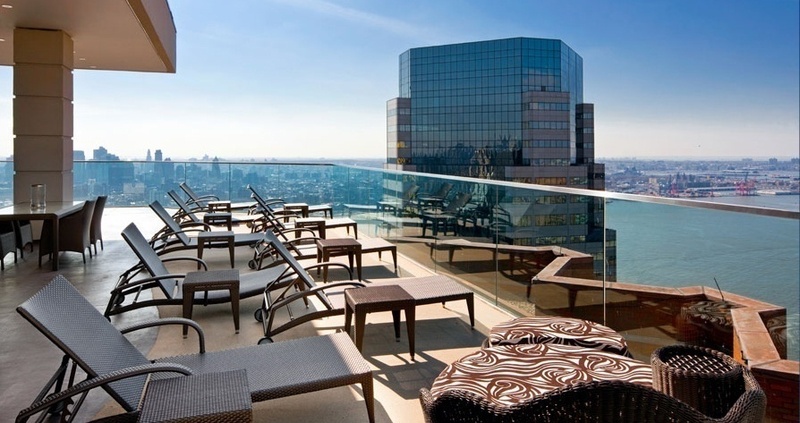 The building has a doorman, modern gym, two residential lounges, rooftop terrace with 360 degrees views of the city. Located on top on a 4.5-star hotel. All hotel amenities are available to the residents, such as spa, bars, restaurants. Less than 5 minutes walk to several subway stations. 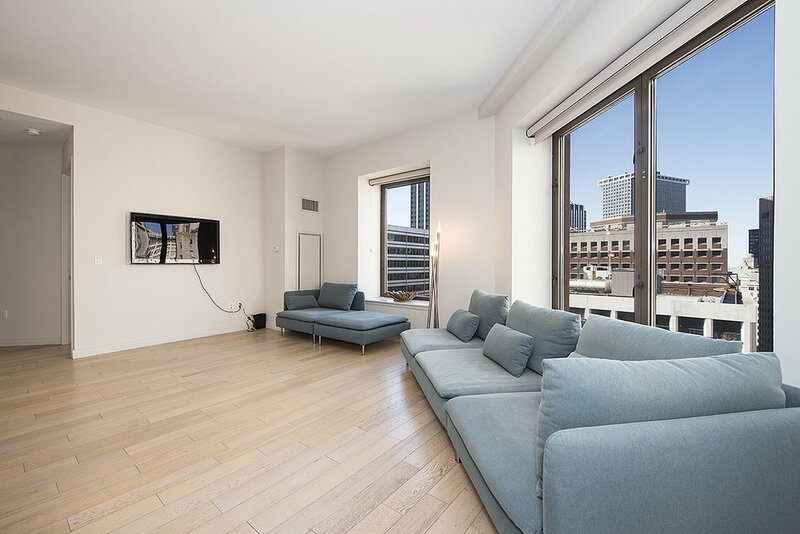 Staying at this apartment truly allows experiencing the spirit and luxury of New York. The apartment is on the 29th floor with the beautiful views of the city and more than three times the size of a typical Manhattan apartment. 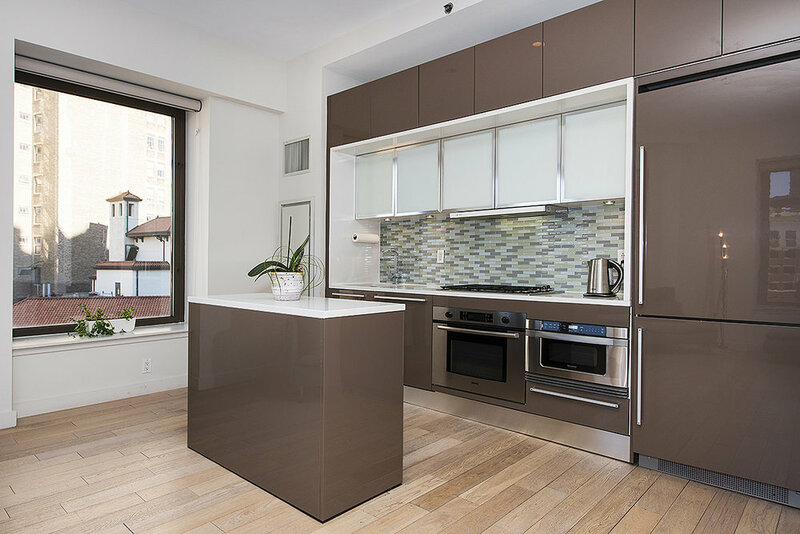 1,100 square feet, modernly decorated, a fully-equipped kitchen with stainless steel appliances, high ten-foot ceilings, oversized windows, in-residence washers and dryers, oak floors, marble bathroom, lots of light and open space. Residents can enjoy comfort and amenities usually associated with 5-star hotels. The on-site fitness facility offers treadmills, various fitness equipment, yoga studio. 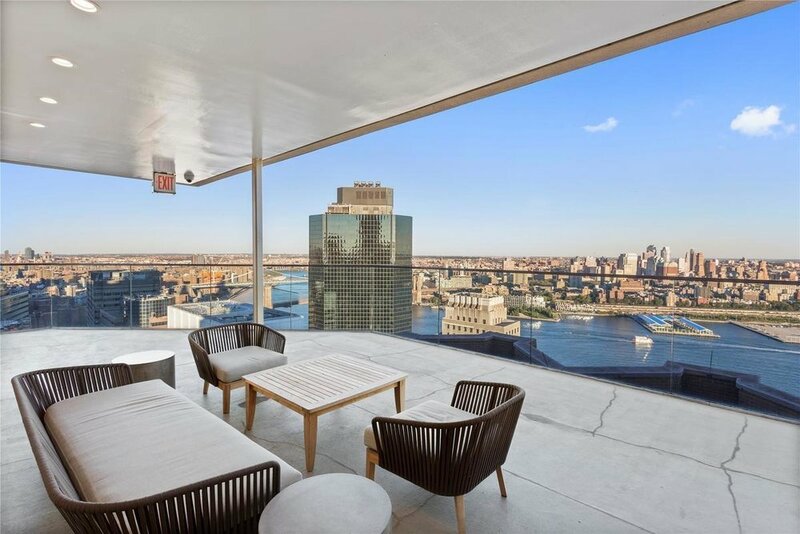 Two residential indoor and outdoor lounges, rooftop terrace with amazing 360-degree views of the city, including such landmarks as Empire State Building and Chrysler building, harbor and downtown Brooklyn. Stay on the famous Wall Street, in the center of Financial District! Feel the city's life pulsating around when you go up Wall St., or go down towards the East River (one block from the building) to enjoy peace and serenity. This neighborhood is both historical and modern, where iconic skyscrapers co-exist with narrow, welcoming streets and easy transportation access. It is very close to all city's attractions and nightlife. 5 min walk to NY Stock Exchange, Wall St. famous bull, Pier 17, Ground Zero, 10 min walk to Statute of Liberty ferry, Battery Park, Brooklyn Bridge. There are plenty of restaurants, bars, shops and all imaginable city infrastructure. Easy commute to all city areas, New Jersey, Governor's and Staten Island. Here you’re steps away from the city’s greatest attractions. You can walk to most of them. Should you want to travel to midtown, uptown, or even further, 3 different subway stations (trains 2, 3, 4, 5, j, z) are less than 5 minutes walk (two short blocks). Many bus lines are around as well. There is a ferry one block from the building which commutes to the beaches in NY & NJ, several towns in NY, NJ, Governor's and Staten Island. 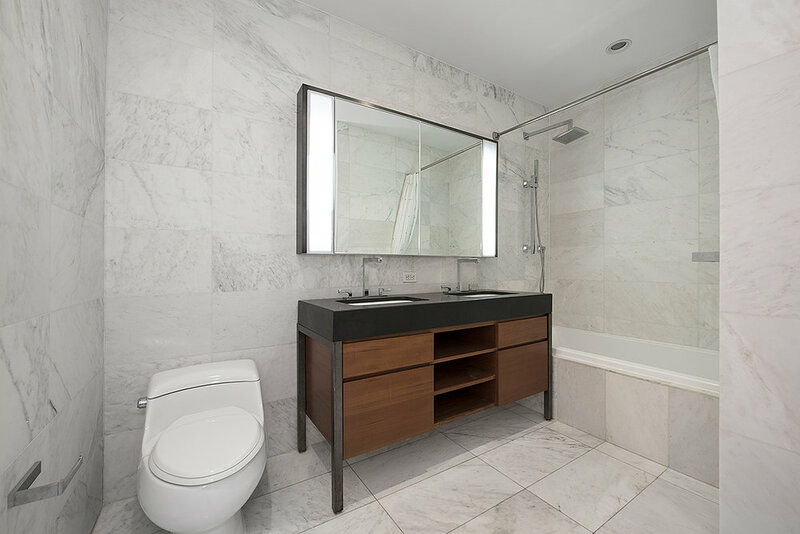 This condo building defines world-class luxury with a full-service lifestyle and an abundance of amenities that usually are associated with the 5-star hotels.